Thailand may be many things, but it certainly isn’t boring. It’s a country full of life and energy with an intoxicating mix of the fascinating, the fun and the frivolous. It can also be frustrating at times as visitors get to grips with the different way of doing things in Thailand and the attitude to life in general. But that is all part of the charm and the appeal. Thailand certainly has its faults, but the good points far outweigh the negatives. Here, in no particular order, are nine reasons (9 being a lucky number) to love Thailand. 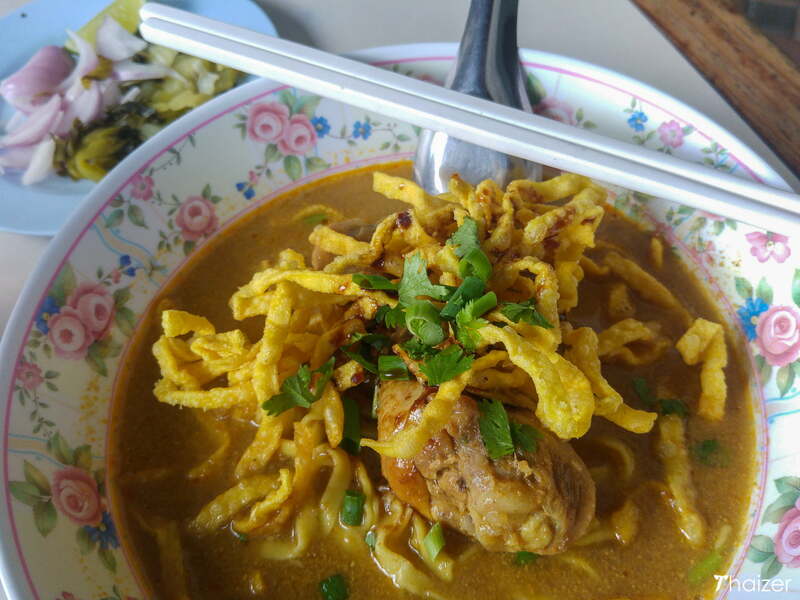 In Thailand, food isn’t just a daily necessity; it’s part of the fabric of Thai society. A common Thai greeting is ‘kin khao reu yang’?. It’s the equivalent of saying ‘how’s it going?’, but the literal translation is ‘have you eaten rice yet?’ and demonstrates the central role that food has in Thailand. From hawker stalls and roving vendors to world class restaurants, Thailand is home to some of the best food in the world. And don’t be put off by that ramshackle restaurant you see on the side of a busy road. With its corrugated iron roof, faded decorations and miniature plastic chairs it might look like a place to avoid, but appearances can be deceptive. Some of the best food and most memorable travel experiences can be found at such places. Travel Thailand with a bit of adventure and don’t just eat at your hotel and guest-house. Plenty of people have told me that what they love most about Thailand is the feeling of relaxation they get here. Things are done at a different pace to many Western countries, partly because of the heat, but also because of the general culture and different priorities. Thais like things to be sabai sabai or comfortable and relaxed which is good news if you are in Thailand on holiday or vacation. Relax, smile and go with the flow. Sit yourself down with a long cool drink and watch the world go by. Swing gently in a beachside hammock or treat yourself to a Thai massage and let those stresses and travails from your everyday life in your home country drift away. Thailand is blessed with some beautiful beaches and idyllic islands and for many repeat visitors, this is what draws them back year after year. Popular beaches such as Patong on Phuket and Chaweng on Ko Samui may have become ‘too touristy’ for some people’s liking, but they do have the advantage of providing a wide selection of accommodation, entertainment and restaurants to suit all tastes and budgets. Whilst Ko Samui and Phuket are the most famous of the Thai islands there are dozens more to choose from and hundreds of beaches dotted around Thailand’s coastline so whether you want parties and night-life, total tranquillity or a mix of everything, you can find it in Thailand. Thailand is justifiably famous for its beaches and islands, but there is rich a cultural heritage waiting to be explored beyond those sandy shorelines. From the ancient temples of Ayutthaya and Sukhothai to the burgeoning and eclectic art scene of Bangkok, different regions of Thailand have their own unique cultural identity and heritage. It’s easy to see why gorgeous beaches and delicious food should be included in a list of things to love about Thailand, but there is one quality that is difficult to put into words when describing why people should visit Thailand. It’s a Thai trait called ‘sanuk’ which loosely translates as a fun attitude. Almost as much as eating (although nothing really trumps food in Thailand), sanuk has an important place in everyday life. It doesn’t mean that everybody is happy all the time and the streets are full of people doing stand-up comedy routines, but there is a distinct notion that life is there to be enjoyed. The more time you spend in Thailand the more you will become accustomed to the random nature of everyday sights and events. Whether it’s the sight of an entire family perched on a single motorbike, a man carrying his pet pig around town or workmen climbing up bamboo ladders to fix a maze of jumbled wiring, Thailand is unique. It might be a sweeping generalisation, but Thai people tend to have a party attitude. Life is there to be enjoyed; work to live, not live to work. This attitude can often be seen at Thailand’s numerous festivals, especially the major holiday of the year, the Songkran New Year Water Festival. If you haven’t been to Thailand for Songkran, I highly recommend doing it at least once on your lifetime. But even if you can’t make Songkran, there are plenty of other festivals and events celebrated in Thailand throughout the year. 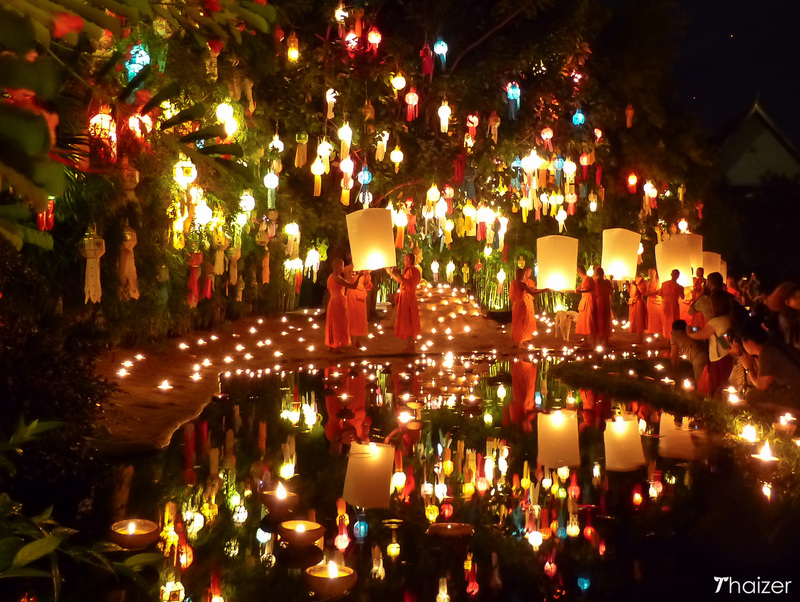 Songkran and Loy Krathong are the best-known Thai festivals, but attending any festival in Thailand gives a wonderful insight into Thai life and culture. The beaches and islands of southern Thailand and the Eastern Seaboard might grab most of the attention of the glossy travel brochures, but Thailand has some wonderful national parks and delightful scenery away from the coast. Highlights include locations such as Khao Sok in the south, Khao Yai to the north-east of Bangkok and Doi Inthanon in the north. Thailand has been successfully branded as the ‘Land of Smiles’, but just because a Thai person is smiling doesn’t mean they are happy. Thai people have their ups and downs just as anybody does wherever they live in the world and visitors to Thailand may encounter grumpy taxi-drivers or surly waitresses. We all have our off-days and Thai people are no different. That said, I do genuinely believe that Thai people are amongst the friendliest and kindest I’ve met in my travels around the world. Yes, there are some who only pretend to be friendly, especially if it means making money out of tourists, but that also applies to any country in the world. Thailand, especially in the tourist hot-spots, does have its fair share of ne’er-do-wells and charlatans such as the jet-ski scammers in Phuket. However, the overwhelming majority of Thai people I’ve met have just been trying to make an honest living like the lady in the photo below. 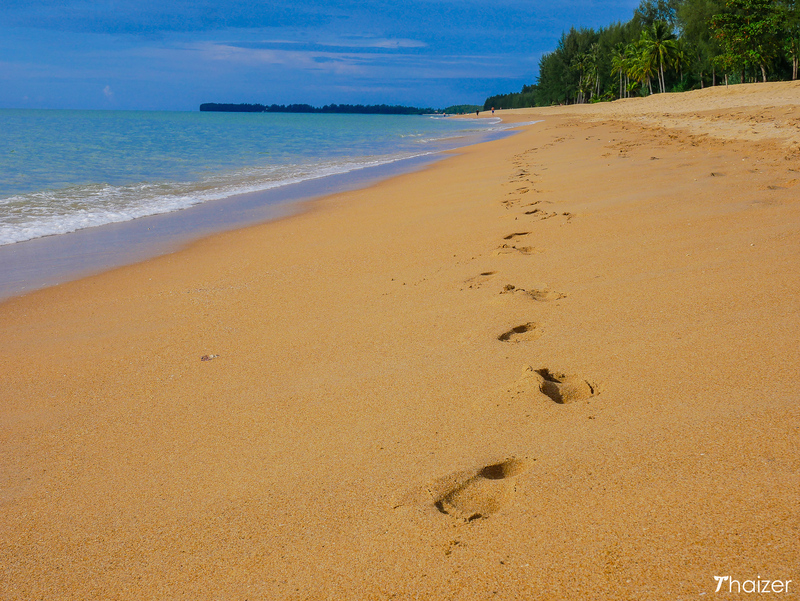 This photo was taken in February 2005 on Phra Nang Beach in Krabi. There were tourists there, but nowhere near the number to be expected in a normal high-season month. But this wasn’t a normal high-season. This was just two months after the devastating Indian Ocean Tsunami. My family bought delicious som tam and grilled sweetcorn from this lady every day during our stay and as we chatted with her we asked if she was on the beach when the tsunami hit. She was. And as she began to talk and her eyes filled with tears, it was impossible not to be moved by her and her experience. We apologised for asking, but she explained it was good to talk about it. The wave on Phra Nang Beach wasn’t as high or as devastating as other parts of the Andaman Coast, but she still had to clamber rocks to get to safety. She showed us the scars on her feet. And she smiled. She was alive and her family were safe. And we smiled too. Happy to have known her, albeit briefly, during a week-long stay in Krabi. I don’t know if this lady is still working in Krabi. The last few times I’ve been to Phra Nang Beach, I didn’t see her. But I do know that there are ordinary people like her the length and breadth of Thailand working hard to provide for their family. In my opinion, the lady in the photo is a true representation of the Thai people. And that is one more reason, possibly above all others, that I love Thailand.